Living Altar are a Lithuanian black/death metal band and this is their debut EP, (after a demo and a split). This is bestial black/death metal that takes no prisoners with its venomous assault and violent tendencies. Leading the charge into battle like a blood crazed berserker, you can imagine Living Altar letting loose with a vicious cry of “I AM WRATH” and proceeding to carve a gruesome trail of severed limbs and smashed skulls through the black metal landscape. Yes, this is not pretty, but boy is it good fun. Living Altar subject the listener to 22 minutes of brutal, bestial black metal. It’s ugly, it hates you, and wants to mess you up. Death metal elements can be heard in their sound, lending the band a more muscular air than most playing in this field, but the emphasis is mostly on primitive blackened aesthetics. What I have written so far is probably misleading in some ways, however, as Scythes Towards Psyche is not all about frenzied savagery. There are slower and mid-paced parts dotted around this war-scarred battlefield, more than enough to provide some variety and added interest. So yes, overall it’s clear that these barbarians can write a decent song. In fact, there’s six damn killer ones included on this EP. With the type of singer that has a completely base, dirty, ragged growl, this EP has the whole nasty package for anyone into this type of music. 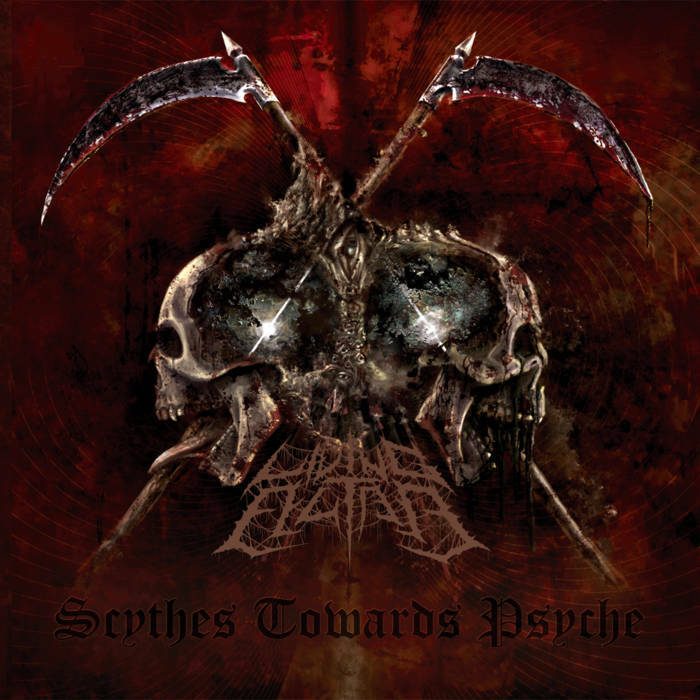 I’m not always one for this kind of bestial black/death terror, but I have to say that Scythes Towards Psyche really hit the spot. Impressive stuff. This entry was posted in Black metal and tagged Bestial Black Metal, Black metal, Black/Death metal, Death Metal, Living Altar, Metal. Bookmark the permalink.